Find the lowest prices for German Language Courses in Germany! Are you looking for german language schools in Germany or a german summer school in Germany? How about study german in Germany or language courses for adults in Germany? Whatever type of german course you are looking for, Languagebookings.com will help you find it—and at the lowest possible price! Browse over many German schools in many locations in Germany until you find the german course and school that is right for you. We make it easy to find discount prices at the most popular schools in Germany and we provide detailed school information, photos, videos and students reviews for a great variety of German schools in Germany. Choose Languagebookings.com for all your courses reservations, and see why more and more students are choosing us to study german language in Germany! When you study German in Germany, it’s like filling your mind with vast knowledge about the country and its people. People who study German in Germany completed their language course with enthusiasm and they expressed positive feedback. Also, when you study German in Germany, you will feel the love for the language and for the country itself as you experience walking on its streets and communing with the German people. You can also have a unique experience when you study German in Germany for it is a country with a lot of tourist spots. Germany has a unique urban beauty that you cannot see elsewhere. This country is also full of architectural marvels which you will witness as you study German in Germany. The cosmopolitan charm of this country is to die for. The urban culture and the picturesque backdrop of the surroundings blend well to create a marvelous sight. When you decide to study German in Germany, you can have the chance to get a tour around the country as you learn more and more German word each day. Also, you do not have to worry about the places where you can stay for there are a lot of accommodations that you can avail of once you arrive in the country. Though people in this country value independence and individuality, a warm approach using their native tongue will gain you a lot of new friends. If you study German in Germany, you can also have the chance to visit the major cities which are Berlin, Cologne, Munich, Dresden, Frankfurt, etc. These cities have their own unique elegance and a fair share of tourist spots. The local flavor of this country will have a great impact on your especially if you know how to speak their language. Study German in Germany and experience a whole new world that you can enjoy staying at. One of the tourist spots that you can visit while you are in Germany is the Cologne. This city lies on the banks of the famous river called the Rhine River. People who have gone to study German in Germany have also visited this place. Cologne is the fourth largest city in the country and it is also one of the oldest. The rich European ancestry is still preserved in this city. 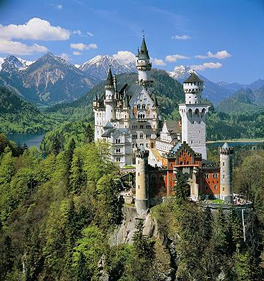 Another tourist spot that you can enjoy is the Romantic Road. This where you should go if you want to see the beautiful countryside of the country. You can just take a ride that follows this route to see scenic spots like the River Main and the Southern Part of the Alps. When you study German in Germany, you are learning more than its language. You are also immersing yourself in a different culture that enhances your knowledge as an individual. Take the time off and study German in Germany and experience the wonder of the country. 100% guaranteed, that you will pay the lowest price for German courses. We offer you the lowest possible course rates - you never pay more than if you booked directly with the school itself or anywhere else. Besides, our service is free. We do not charge any booking fees. It's very unlikely that something will go wrong with your booking once confirmed by the German language schools. In fact we're so confident, that if you don't have your course place at the selected school, we'll credit your account with your full deposit AND find another possible alternative for you.